Murderbot is back in their last (for now) adventure and damn, is it a good one. In this novella Murderbot heads home to help rescue Dr. Mensah, their companion and friend from book one. On the way they run up against their old enemy GreyCris Corporation and all sorts of fun and games ensue. This is the fourth in Martha Wells’ series and a more than satisfying ending to the story started in All Systems Red. The main character (the aforementioned Murderbot) has grown and developed so much since that first book and just keeps getting better. They have learned how to mimic human mannerisms, how to blend in with crowds without wanting to kill everyone and, more importantly, how to care about humans. They even have to deal with those pesky emotional responses every now and then, which isn’t exactly what Murderbot wants but for some reason they can’t make them stop. 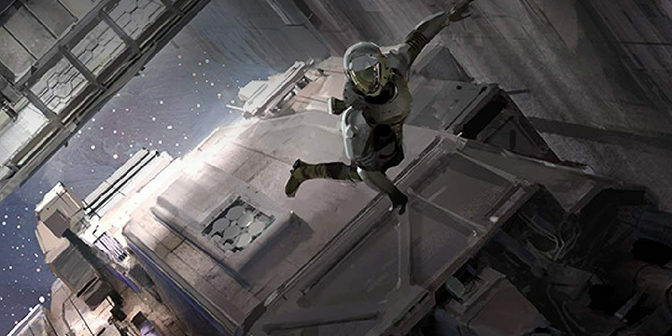 If you haven’t read any of the Murderbot Diaries yet I’d strongly recommend you start with book one. This is character driven sci-fi at its best and includes some ridiculously well-written action sequences. I could easily see this getting turned into a TV series at some point (fingers crossed), and I can’t wait for the novel that’s due to drop next year.